Introduced in 2005, this second-generation Kia Rio moved the Korean firm's small hatchback offering forward significantly. Introduced in 2005, this second-generation Kia Rio moved the Korean firm's small hatchback offering forward significantly. While its predecessor was always good on space and value, it did rather lack style and substance, something that this new car addressed. Even so, it's not a car that'll excite overly, but it's difficult to fault as solid, dependable transport in the supermini class against established cars like the Toyota Yaris, Opel Corsa and Ford Fiesta. 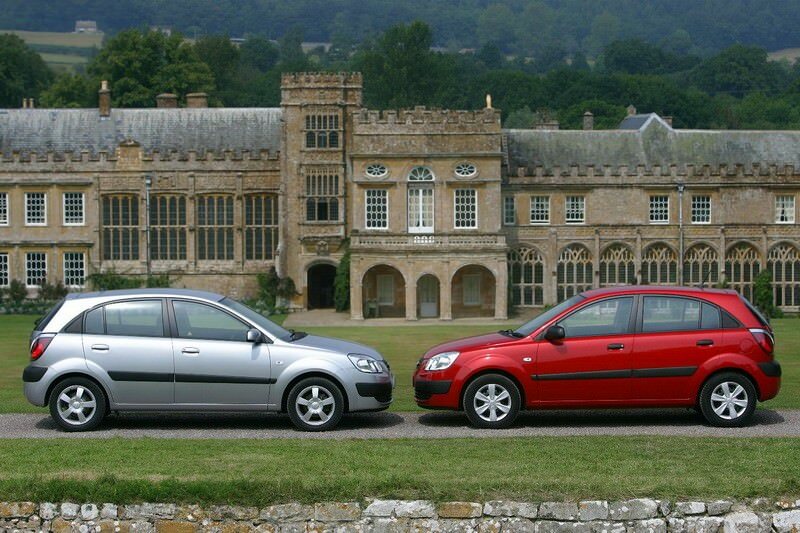 Offered in both five-door hatchback and four-door saloon guises the Kia Rio has always been a good value proposition and the 2005-2011 car was no different. Two engine choices are available: a 1.4-litre petrol and a 1.5-litre CRDi turbodiesel. The model split in the Carzone classifieds is around 50/50. The petrol engine delivers 97hp and the diesel 110hp, the latter obviously being the more economical choice overall with a combined fuel consumption figure of 4.7 litres/100km compared to the petrol car's 6.2 litres/100km. The diesel is the easier car to drive too, thanks to its greater torque output, though if you want your Rio with an automatic transmission then only the 1.4 petrol was offered with the option, the Rio as standard coming with a five-speed manual. Late 2009 would see Kia update the Rio's styling with its new corporate design, the front grille being re-profiled to the 'tiger nose' look, while slight revisions to the lights and interior were also undertaken. Trim levels include EX, LX , TX and Sport the Rio coming with a more comprehensive standard equipment list than its direct rivals with air conditioning, alloy wheels and aux-in jack sockets for MP3 players. Many come with Bluetooth connectivity, too. The petrol model is fine as a city runabout with occasional longer distance use, but if you're racking up high mileage then the diesel is the more obvious choice. There are plenty of four-year old cars available out there, thanks in no small part to Kia's success in the 2010 scrappage scheme, so you can afford to be picky. Saloon or hatchback depends entirely on your own preference, though EX trim choice will give you the greatest selection to pick from in the classifieds. Not a particularly memorable or exciting small hatchback or saloon choice, but if you're after no-nonsense transport that is well specified, economical and comes with the promise of excellent dealer service then the Kia Rio is a solid, dependable choice.